The stylish pair of green jhumka earrings feature exquisite design, which makes it suitable for combining with the most lavish of outfits. 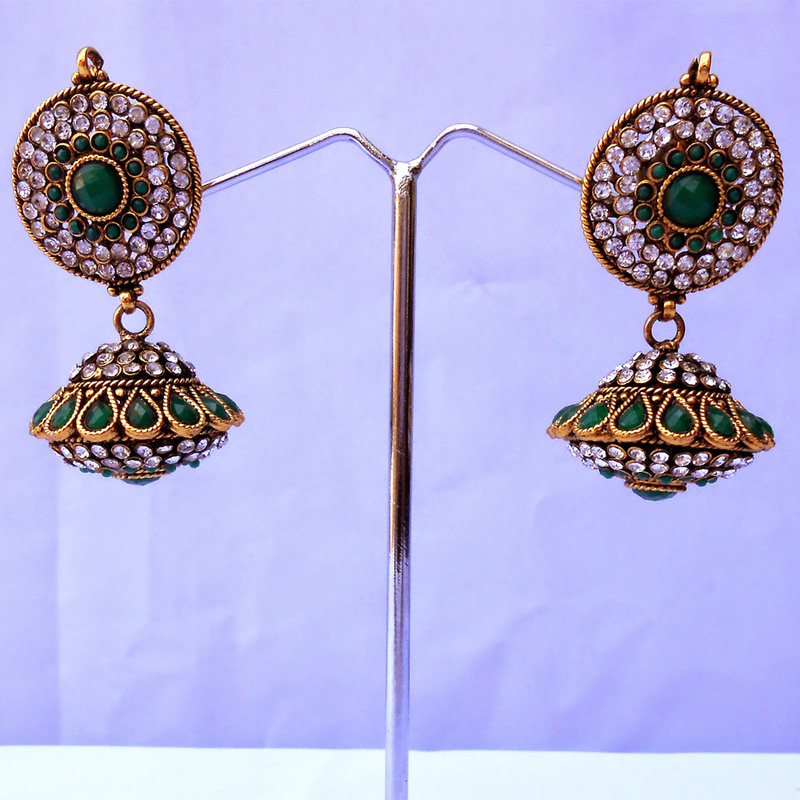 In fact, the Read More..quality of craftsmanship evident on this pair of earrings is close enough to eclipse the mesmerizing green stones that stud its entire body. The green stones are present everywhere from the giant one on the stub to the row of teardrop shaped ones on the jhumka portion. To complement the green stones, rows of white stones are present on both the stub and the jhumka part to make this pair of earrings look even more fetching. Show Less..